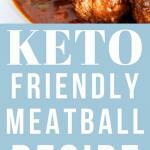 Looking for an alternative ketogenic meal to your beloved spaghetti and meatball dish? 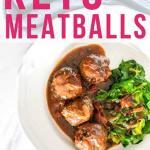 Try this yummy Keto Meatballs Without Breadcrumbs recipe today! Spaghetti and meatball dish is a meal that my whole family loves! 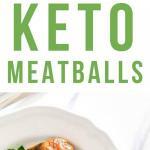 However, I don’t want to mess my ketosis by eating pasta or any of breadcrumb that is required on our usual meatball recipe. 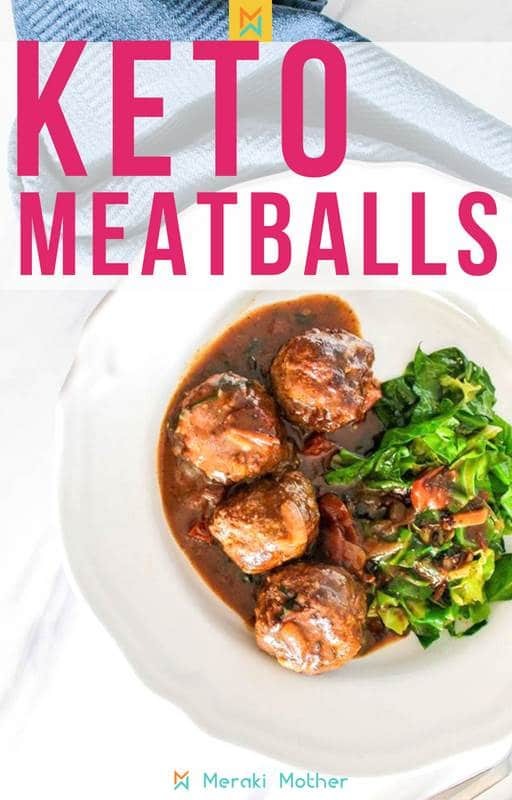 The good thing is, I don’t need either of those ingredients to make a family meatball dish that will not affect my ketosis and commitment to the ketogenic diet. I had never made meatballs with no breadcrumbs before but turns out it is a actually quite simple and the result is amazing. If you are looking for a substitute for breadcrumbs in meatballs, you can try making meatballs with almond flour orcoconut flour. However it is also possible using no flour at all like I have done in this recipe below. The same holds true if you are making a keto meatloaf recipe. 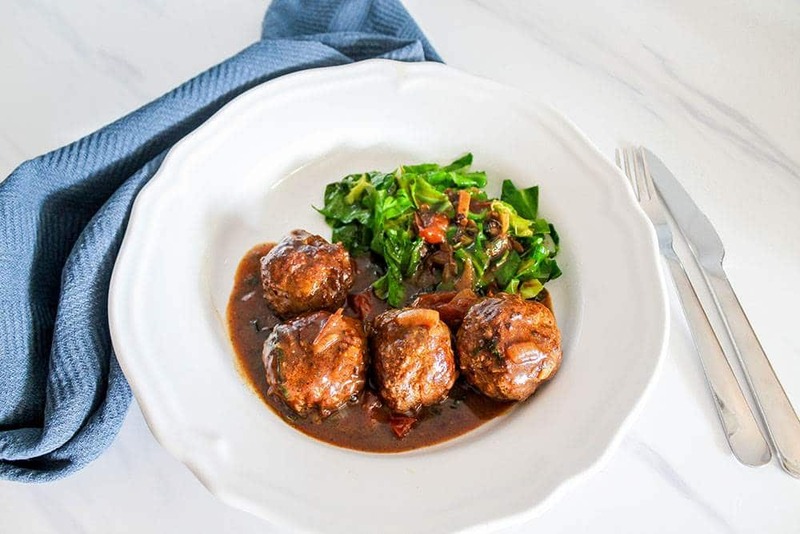 This keto meatball recipe is really healthy and yummy and the coconut adds a great taste to the sauce. You can vary the quantity depending on how many are eating. But what to eat with meatballs? 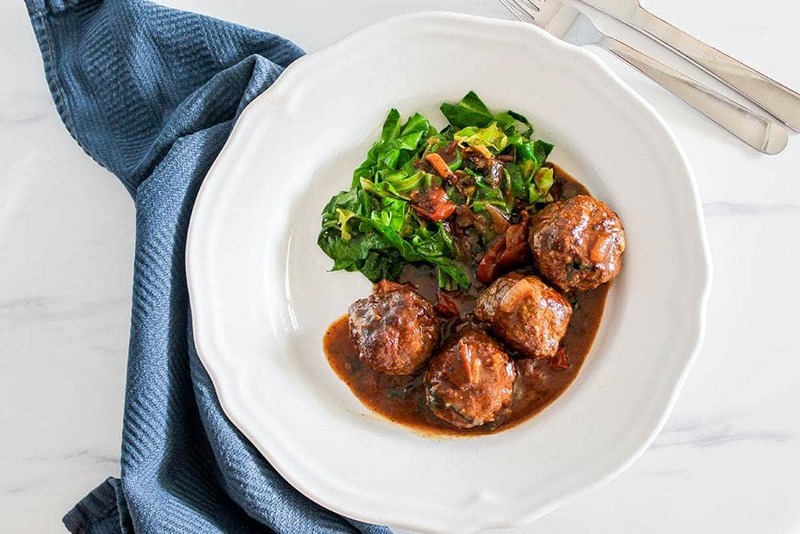 Since I wasn’t going to eat pasta, I decided to eat my keto meat balls with fried Irish cabbage but you could easily make zucchini noodles with a spiralizer to substitute the pasta too. My whole family eat my pasta variation with zucchini noodles, and the kids don’t even know the difference. Their favorite recipe is our garlic shrimp zoodles meal. 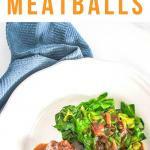 Enjoy these yummy meatballs without carbs in excess! This meat recipe is keto friendly, low carb and dairy-free! 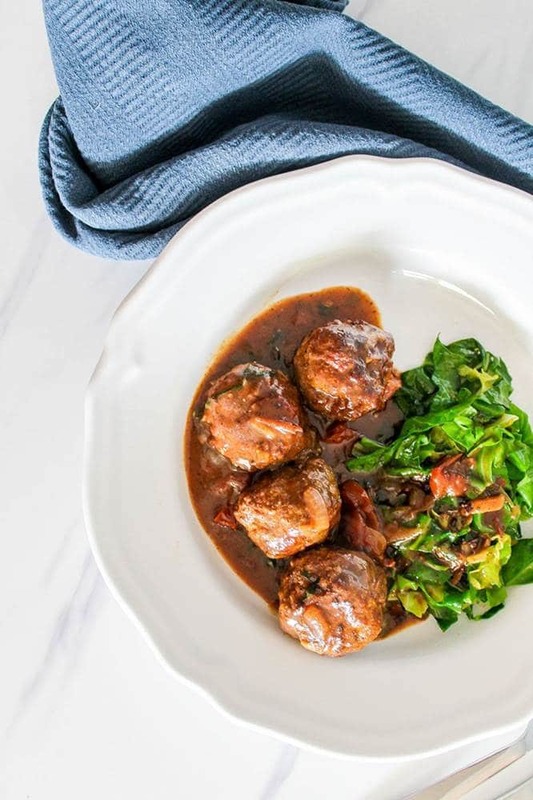 Delicious keto meatballs made without any breadcrumbs. 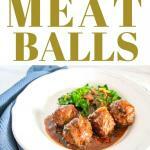 Mix all the meatball ingredients in a bowl and shape them with a spoon into 1” sized balls. Add the coconut oil to a wok and brown the meatballs on all sides. Remove from the wok individually and put on a plate to rest. You may need to do them in batches. Then in the same wok, add the onion and fry until slightly browned (add more coconut oil if you need to). Then add in all the other sauce ingredients except for the coconut cream and cook for 5 minutes. Finally add the coconut cream (this is the thick cream from a refrigerated can of coconut milk). Cook until the cream is bubbling and then add the coconut milk (this is the thinner part of the coconut milk can) and stir well. Add the meatballs to the sauce and cover and simmer for 10-15 minutes until the sauce is reduced. Turn the meatballs half way through. Start making your side dish just before serving your meal. For option 1 – Zucchini noodles: Specialize your zucchinis. Melt the coconut oil in another frying pan and add the zucchini and garlic powder. Stir fry for about 2 minutes or until it is the consistency of a cooked pasta and season to taste. Serve the meatballs and sauce on top of the noodles. For option 2 – Fried Cabbage: Chop your cabbage. Melt the coconut oil in another frying pan and add thecabbage and garlic powder. Stir fry until the cabbage is ready and season to taste. Serve the meatballs and sauce on top of the fried cabbage. Looking for more keto dishes? Check out our keto recipies and ketogenic articles here.